This is a misdiagnosis malpractice lawsuit filed against a neurologist in Howard County. It was filed in Health Claims Arbitration on April 25, 2017 and it is the 193rd medical malpractice lawsuit filed in Maryland in 2017. A 63-year-old woman suffers from a transient ischemic attack (TIA) which is a fancy of way of staying she had a stroke. She is taken to Howard County General Hospital. The doctor orders a transthoracic echocardiogram (TTE) to diagnose the woman's condition related to the stroke she suffered. The doctor recommends and refers the woman for a neurology consult to determine if a transesophageal echocardiography (TEE) is clinically necessary to further diagnose the woman's condition. The defendant neurologist fails to note the recommendation for the TEE and no cause is given for the TIA. Four years later, the woman suffers a stroke of the middle coronary artery. She is taken to Howard County General Hospital and then transferred to Johns Hopkins Hospital for thrombolysis. Johns Hopkins Hospital performs both a TTE and a TEE. A TEE test is the gold standard for diagnosing an atrial septal defect. Sure enough, the results of the exam show an atrial septal defect, which was the cause of the stroke. The woman is now wheel chair bound and unable to use the right side of her body. Plaintiff claim that if the TEE was performed or ordered after the first stroke, the plaintiff's atrial septal defect could have been identified and the appropriate treatment would have been initiated. An atrial septal defect is a hole in the wall that separates heart's two upper chambers of the heart. It usually begins at birth and can lay dormant for many years before a problem manifests. This congenital defect can cause low oxygen levels in the arterial blood that supplies oxygen to the brain, vital organs, and tissues. The problem for patients with an atrial septal defect is that oxygen-rich blood leaks into the oxygen-poor blood chambers in the heart. ASD is a defect in the septum between the heart's two upper chambers (atria). The septum is a wall that separates the heart's left and right sides. 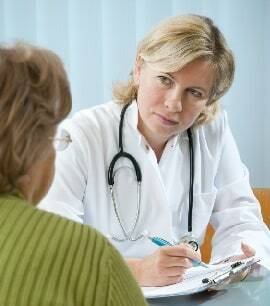 Have you suffered an injury as the result of the negligence of a neurologist or another doctor? Miller & Zois can help you. You are entitled to compensation and justice for the harm you have suffered. Our malpractice lawyers have a storied history of obtaining large verdicts and settlements in medical malpractice cases in Maryland. Call us today at 800-553-8082 or get an online case review.